Asylum seekers are in need of our protection, not more difficulty, according to the Justice4RefugeesWA network, who are organizing the Walk for Justice for Refugees on Palm Sunday April 29 2015. They are a group of over 20 civil society organisations, churches and individuals calling for humane policies for asylum seekers and refugees in Australia. Prominent businesswoman and philanthropist Janet Holmes à Court AC; former Deputy Leader of the Liberal Party of Australia and Senior Australian of the Year Fred Chaney AO; and multi-award winning author Tim Winton have all agreed to take part in this year’s walk to ask for compassion not punishment for refugees and asylum seekers. The group and its supporters will be gathering in the grounds of St George’s Cathedral at 1pm on Sunday 29 March before conducting a peaceful walk, palm fronds in hand, on the footpaths of the streets of Perth. Similar events are due to take place across the country as part of a national day of action for the rights of refugees and asylum seekers. • An end to offshore processing. 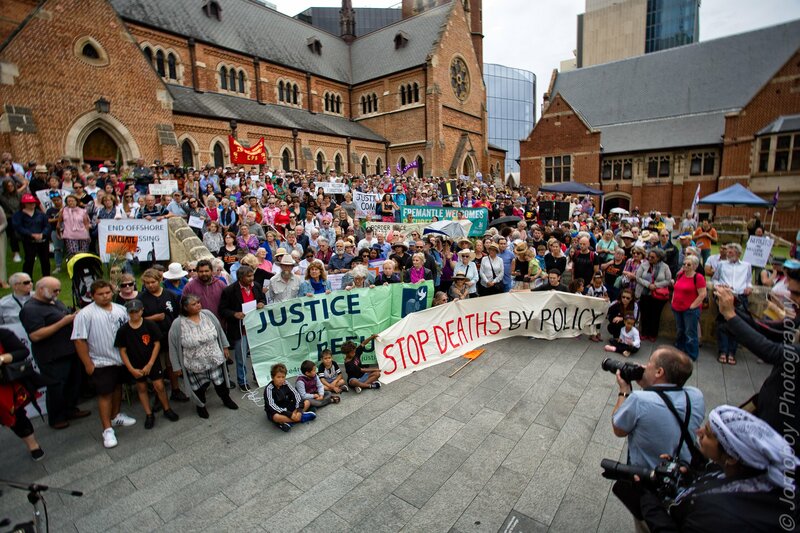 Cant make it to the Walk for Justice for Refugees’s peaceful protest in Perth? Can’t make it to the Walk for Justice for Refugees on Sunday 29th March 2015 at 1pm? That is okay! You can still support us to make it happen. Just visit https://www.chuffed.org/dashboard/campaign/6633 and donate today.